I swear... I'm all fitted and locked in! Very interesting, and great looking. I wonder how they feel and fly compared to the TE Forged & PTM heads. Nice looking.....BUT.....$50 per head?? I'll keep my Ping Raptures!! fatshot Nice looking.....BUT.....$50 per head?? I'll keep my Ping Raptures!! Yeah, I know. I'm thinking of building up a new bag for Florida casa. The Maltby's, with a decent graphite shaft, grip, ferrule will cost me $85 per club. 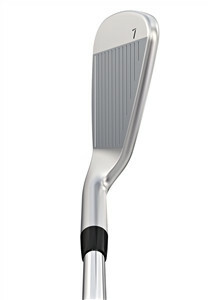 NEW PING G irons are $100/club and the G400 (what I have now- see pic) are $125/club. The difference in cost is shrinking.